I was there!! I asked the next to the last question ! 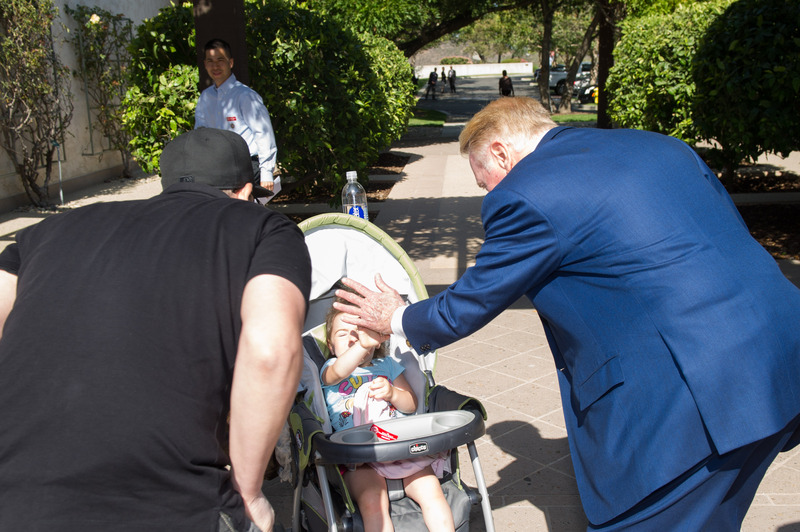 I asked Vin Scullt o share a story when Ronald Reagan shared his booh for one inning during the 1989 All Star game. 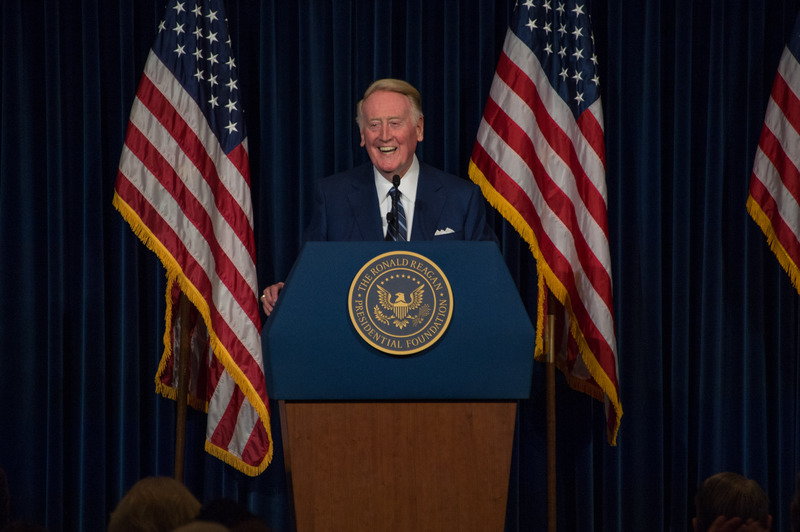 On Wednesday night, Vin Scully gave a speech at the Ronald Reagan Presidential Library in Simi Valley. The hour is full of stories and memories that will leave you speechless.